Cook Chill. Some of you know what this is, while others are new to the term. At Plascon, we have the experience and expertise to guide you on your path to using the Cook Chill System of food preparation and serving. If you currently use Cook Chill as part of your food service operation, then you already know the many benefits of this food preparation and serving method. 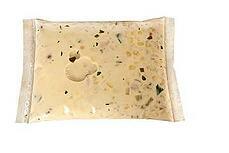 New to Cook Chill? Join the many restaurants and food service operators who are already utilizing this efficient prepared foods technology that delivers consistent ‘just made fresh’ quality in every batch, while at the same time extending shelf life. With Cook Chill, all recipes are precisely measured and cooking cycles carefully monitored. Foods are cooked until properly done, never over- or under-cooked. This ensures every location will serve uniform flavor, texture and quality. Best of all, even after weeks in storage, the foods taste as if they were freshly prepared. No matter what size organization you have, from mom & pop restaurants to giant food processing organizations, Cook Chill is easily scaled to your operational needs. We supply the bags, accessories, and guidance to get you started using Cook Chill in no time! Sealing your Cook Chill Bags is a key step in the process. 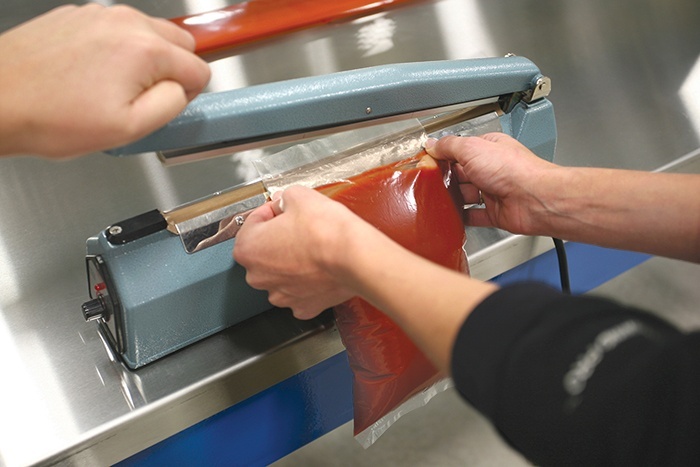 The two most common ways to Seal Cook Chill bags are either by Impulse Sealer or Clipper. Which method is the “best” way, tends to be a matter of personal preference based on each users application. Here are a few different variables to consider when deciding which Sealer is the best for your operation. 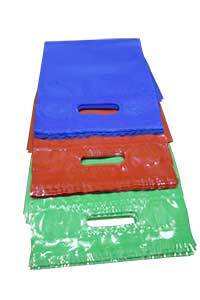 As the manufacturer of our Cook Chill bags, we have the expertise to help guide you in making the best purchase decision to meet your facility needs. Our Cook Chill bags are made with a 7-layer co-extruded film for maximum durability, and are available as clipped pouches, heat sealed, angle heat sealed, and handle bags. We offer a complete line of accessories for your cook chill needs, including Hand and Foot Impulse Sealers, Clippers, Ring Stands, and Mini-Chill for smaller applications. Contact us today and learn how to begin using the Cook Chill System for your food service needs.